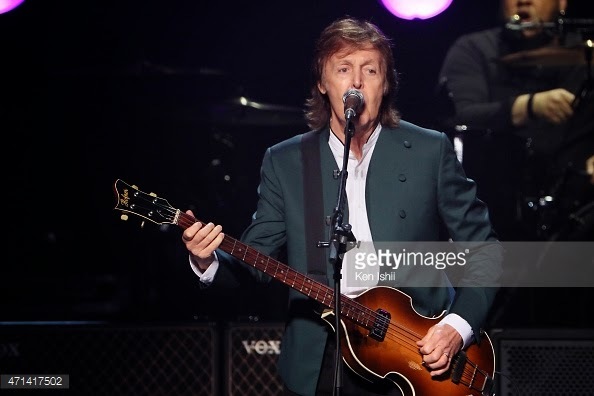 The Beatles Through The Years: Paul McCartney Performs 'Another Girl' Live in Japan. Paul McCartney Performs 'Another Girl' Live in Japan. Macca rocks the Budokan in Tokyo, Japan. 49 years after the Beatles played there in 1966. Paul McCartney has played, for the first time, the Beatles' track 'Another Girl' at the Nippon Budokan hall in Tokyo, Japan. Fans from the US and Europe are hoping to hear Macca perform this track at the shows he's due to play there this summer. His set list does change slightly from country to country, this is notable in the shows he does in the UK and Canada (Canada has a large Scottish heritage population) when he sometimes inserts 'Mull of Kintyre' into the list, which was a massive hit in the UK in 1977 but didn't quite reach in the USA. What tracks would YOU like to hear him play that he hasn't already done? Are there any that you think he definitely should be playing? Let us know!